Need 1 or 100,000; we can handle it! 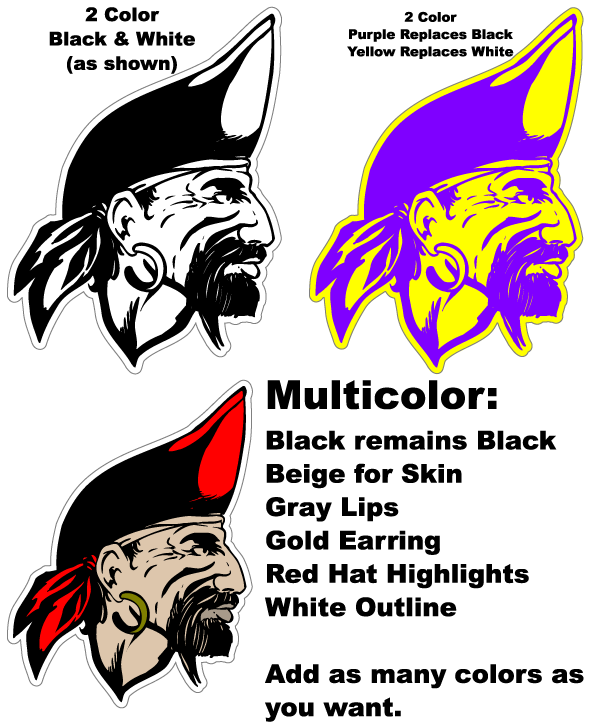 All Cavaliers mascot decals are CUSTOM MADE to your specifications of size and colors. Each Cavaliers mascot decal can be made in any width and are measured LEFT TO RIGHT. Your Cavaliers mascot decal can be made in any colors you want. Our Cavaliers mascot decals can be placed on helmets, cars, windows, lockers, folders, etc. 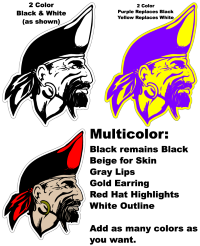 Our mascot decals are available in various color. See the bottom of the order form on the mascot design you like for more details. They make for great fundraiser decals too. Just received, and an extra one! Thank you so much Jacy! Thank you so much for asking and making sure it is correct. Great costumer service!! I received the decals day , very satisfied with the decals thanks for the free decal.